The Wellington Youth Orchestra celebrates its 50th Anniversary with a special concert. Conducted by Greg Squire, the WYO includes their junior and training orchestras: Wellington Youth Sinfonietta and Schola Sinfonica, to perform together a varied programme: Music for the Royal Fireworks by Handel, Four Dances from Rodeo by Aaron Copeland, Overture: Aotearoa by Douglas Lilburn and Scheherazade by Rimsky Korsakov. 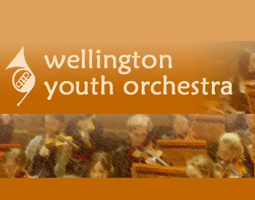 Established in 1959, the Wellington Youth Orchestra is a full symphonic orchestra for young players aged 12 - 25 years.